Did you know that the largest outdoor waterpark in the world, Noah's Ark Waterpark is in Wisconsin Dells? Also, that Wisconsin Dells is the number one tourist spot in all of Wisconsin? A famous city in south-central Wisconsin, Wisconsin Dells has area 19.5 square miles in size, with just over 5,579 permanent residents. Renowned all over the world for its many theme parks and entertainment centers include Noah's Ark Water Park, Mt. Olympus Water, and Theme Park, Wisconsin Dells is a destination worth visiting with family or friends. As far as the accommodation part is concerned, Wisconsin Dells has more hotel rooms than any other city in Wisconsin. So, if you are planning to visit Wisconsin Dells, you won’t have to be concerned about where to stay at Wisconsin Dells? Having said that, if you are planning a vacation, go ahead with it without thinking twice. Whether you are traveling for business or pleasure, visitors place their trust in Ramada by Wyndham Wisconsin Dells. 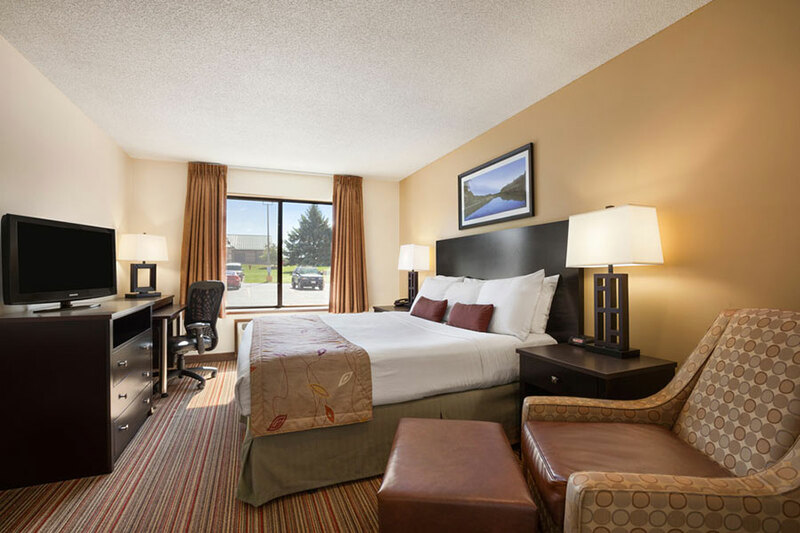 One of the most popular hotels in the Waterpark Capital of the World, Ramada by Wyndham Wisconsin Dells is the preferred choice of one and all as it provides the comforts of a home. Be it spacious rooms or amenities, every element at Ramada makes it an unmatched choice. What’s great is that it is located just off I-90 and I-94 and only minutes away from the Cascade Mountain Ski Area, the Tommy Bartlett Exploratory, Noah’s Ark Waterpark, Ho-Chunk Gaming & Casino, Circus World Museum, and other popular attractions. All in all, with so much to explore, you won’t get bored during your Wisconsin Dells trip, and Ramada stay. So, stop looking at other Wisconsin Dells WI hotels and book your stay at Ramada.